Whether you're looking for designer duds for a night out on the town, or Hawaiian souvenirs for everyone back home, you'll be able to find it thanks to our list of the 10 Best places to shop. For a small island, Oahu sure has an extensive selection of great shopping. Small shops with previously owned rare items can be found deep Honolulu, not far from huge shopping centers. Multiple farmers markets and flea markets make shopping a local experience with rare finds. 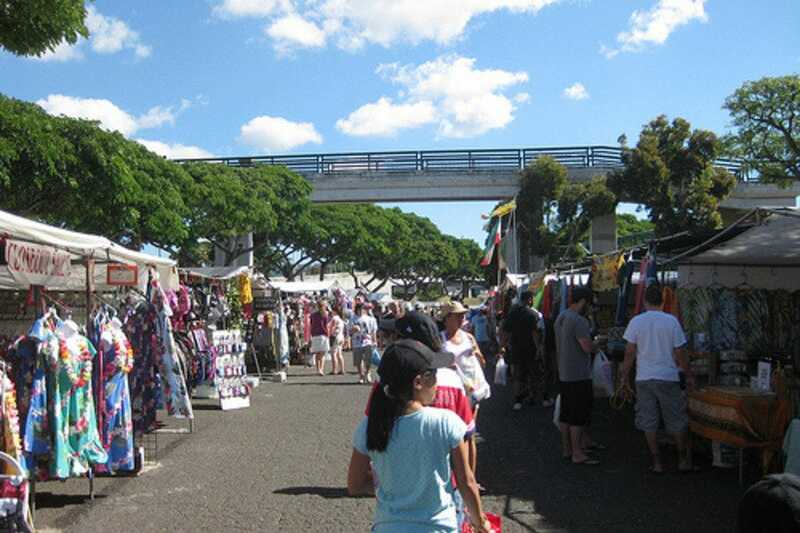 Some of the best and most unique finds on the island are hiding out at outdoor markets such as the Haleiwa Farmers Market, the Aloha Stadium Swap Meet, and the Kailua Farmers Market. In addition to a broad selection of food at each market, these are the places to go for locally made goods, affordable imports from Asia and the Pacific, and unique, off beat finds. 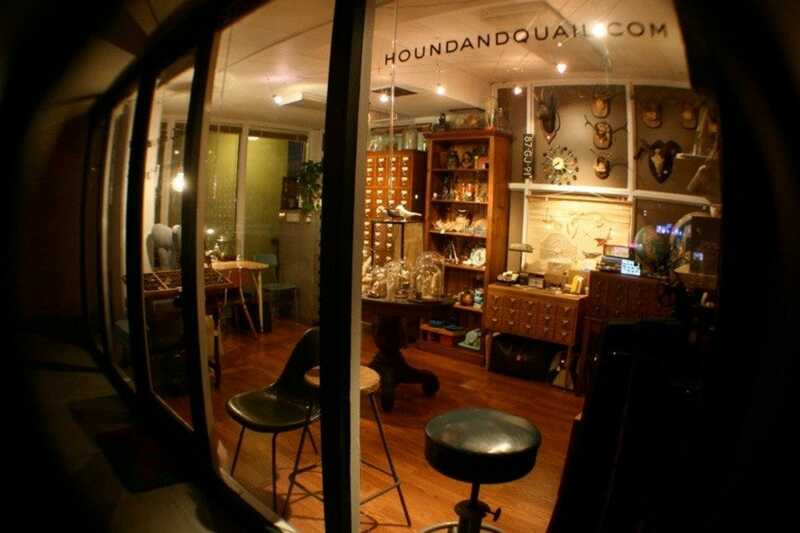 Small boutiques like Guava Shop in Haleiwa and the Hound & Quail in Honolulu are the kind of places that offer rare finds sold by local residents who you'll most likely meet while browsing. 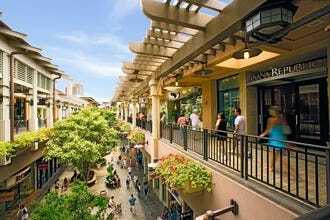 For a more traditional shopping experience, check out big malls and shopping centers like the Ala Moana Shopping Center, the largest mall in all of the islands. 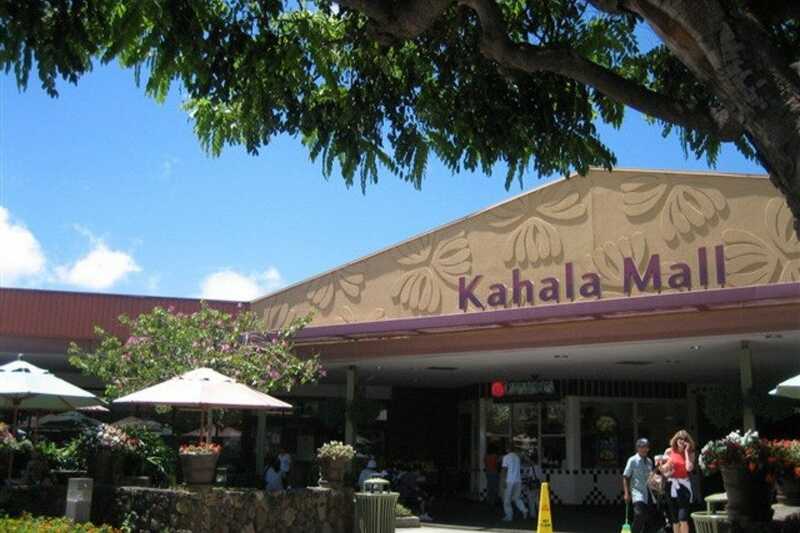 If you're in the mood for a more low key mall experience, the Kahala Mall and the Aloha Tower Market Place offer popular shops with smaller crowds. Wherever you are on Oahu, you'll be able to find great shopping thanks to our list. Set away from Waikiki's bustle, this friendly shopping mall offers browsing in air-conditioned comfort. 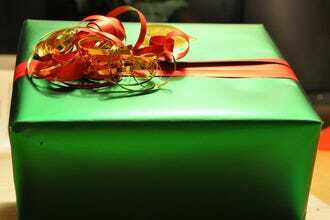 Its 90 stores include Macy's, Banana Republic, Barnes & Noble, Aveda, and Ann Taylor. A selection of service businesses is also available, and the munchies can be put to rest by pizza, Japanese, burger, vegetarian, Korean, and American eateries. In addition, the mall boasts an 8-screen movie theater for those who want to break for entertainment in the middle of a shopping excursion. 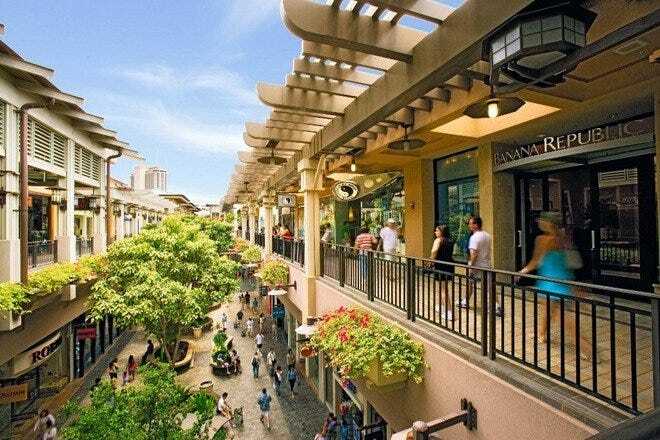 This mall is the answer for those looking to find mainstream stores without the crowds and busy atmosphere of Waikiki. It's a great stop on your way to explore the east side. Discount shoppers will swoon with delight at the prospect of all these fabulous shops, located about 20 miles from downtown Honolulu. Brand-name merchandise is marked down from retail prices, and you can get great savings if you're savvy. 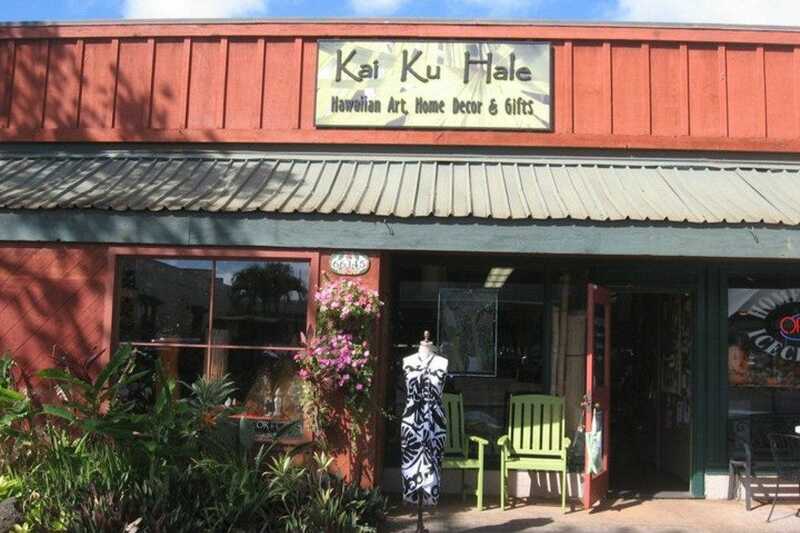 In addition to high end shops such as Saks 5th Avenue, you can also find local style surf shops such as Blue Hawaii and Local Style. 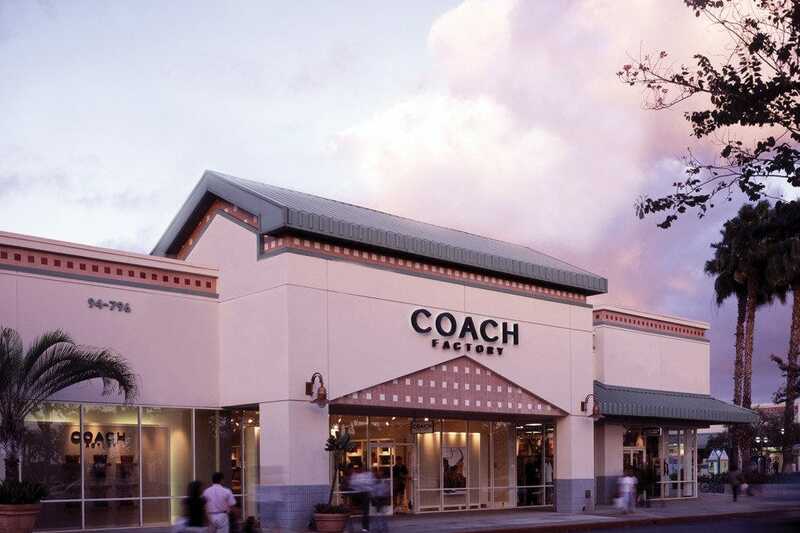 The open-air facility features Barneys, Tommy Hilfiger, Anne Klein, Bass, Sketchers, Samsonite, Converse, Guess?, Juicy and more. A cafe is available should you need sustenance, and there's even a currency exchange and an ATM for convenience. Marked by the stately Aloha Tower, this harbor side shopping complex provides a glimpse of old Hawaii, complete with docked ships and crowds of tourists. The array of shops offers great souvenir options and all sorts of gift ideas. Representative items include candles, jewelry, clothing, Pacific crafts, fragrances, sunglasses, cigars, and island art. 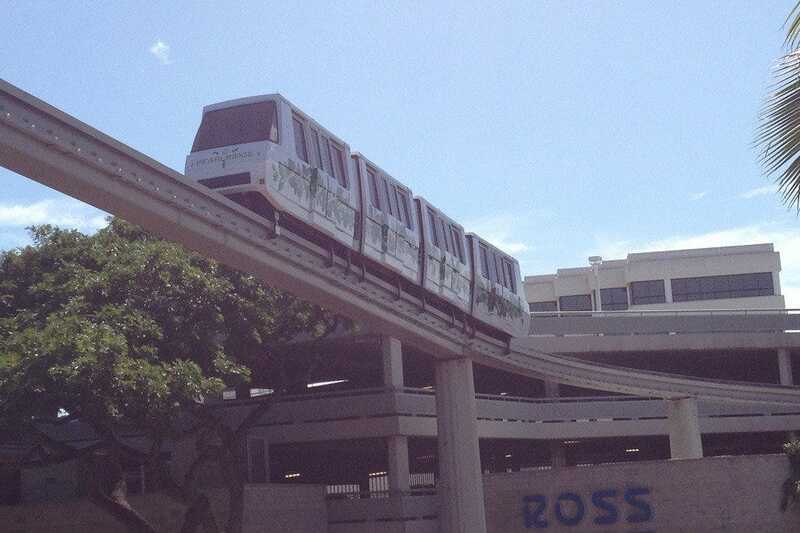 Onsite restaurants include Chai's Island Bistro, Gordon Biersch Brewery, and Don Ho's Island Grill. Make sure to visit the tower's observation deck while you're there. Although it's centrally located in Honolulu, the location offers a bit of an escape from the busy streets of Waikiki and the hustle and bustle of larger shopping centers. 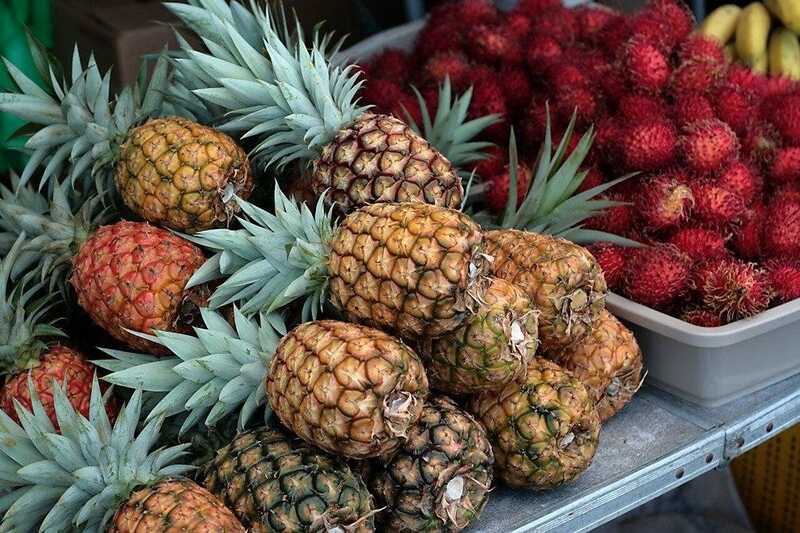 At the Kailua Farmers Market, a flood of vendors selling locally made and grown arts, crafts, and food - both ready to eat meals and fresh produce. One of the rare farmers markets on the island that is actually open during the late afternoon (as opposed to the morning), Kailua Farmers Market is open every Thursday from 5 to 7:30 p.m. You'll want to bring a reusable bag to shop here, or even a pre-used plastic bag to truly go green. This is a wonderful place for visitors to take in local culture and people, and enjoy locally made goods and great food. Can't pass up a bargain, even while on vacation? You'll definitely want to make your way to this expansive flea market, which is held three days each week. All sorts of merchandise are available from a variety of vendors, and you're certain to find something intriguing to take back home or enjoy while you're on Oahu. This is some pretty extensive shopping, as booths circle the entire stadium. 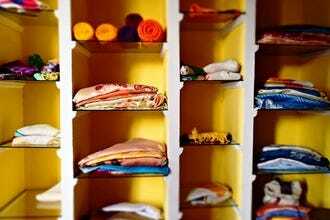 Clothing, food, souvenirs, crafts, and hidden treasures all beckon and can be had for good prices. An ideal destination if you just want to check out the local color too. Admission is $1. 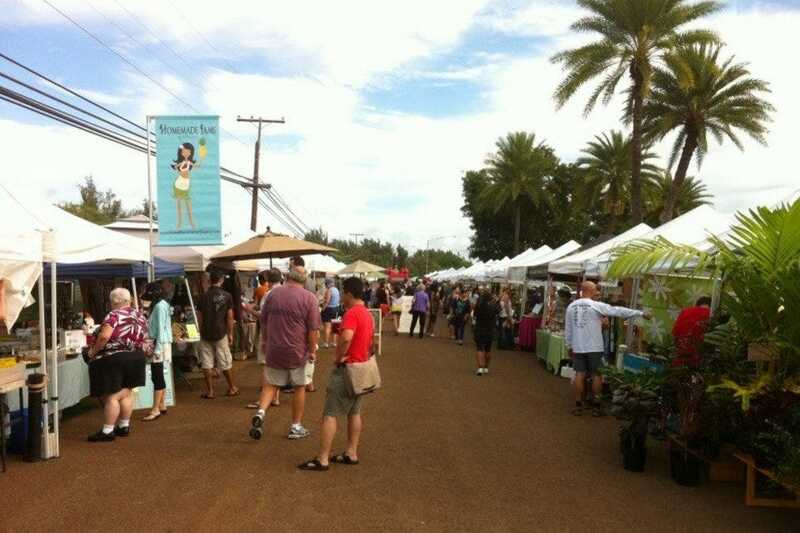 Over 3,000 people come to the Haleiwa Farmers Market on average every Sunday. Located right on the beautiful North Shore near exquisite beaches and perfect waves, the market offers an average of 50 vendors every market day. The rules are that all goods and food must be locally made and/or grown, making for a truly local experience. The market has be relocated and is now nestled inside of gorgeous Waimea Valley close to the sand and surf. 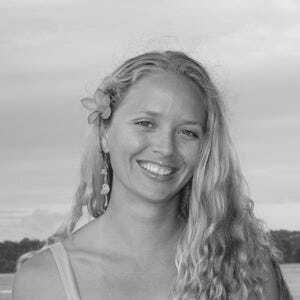 At the plastic free market, all of the disposable plates and utensils are biodegradable and plastic shopping bags aren't allowed, unless they're previously used. You'll see nearly everyone here using reusable shopping bags to carry the locally produced goods in. Along with a huge array of crafts, clothing, art and produce there's many food and beverage booths so you can come to the market just for a meal.